Mahindra Group and Ford Motor Company on Thursday announced that they will jointly develop new SUVs and a small electric vehicle (EV). The development comes as the two companies signed five new memoranda of understanding (MoU) that further strengthen their strategic alliance and accelerate the development of key products for consumers in India and emerging markets. According to the two companies, the MoUs, which are non-binding, mark the progress made by the two companies since announcing their alliance in September 2017. "Under the initiatives, Mahindra and Ford will leverage their strengths in the utility vehicle space to co-develop a midsize sports utility vehicle (C-SUV)," the two companies said in a statement. 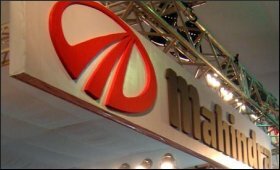 "Built on the Mahindra platform, the new SUV will drive engineering and commercial efficiencies and will be sold independently by both companies as separate brands. Mahindra and Ford also agreed to evaluate co-development of a compact SUV and electric vehicle, along with sharing powertrain portfolios, including the supply of Mahindra powertrains to extend Ford's product range." The statement added that Mahindra and Ford also announced plans to co-develop a suite of connected car solutions for consumers.